How beautiful would it be, to look back at a life, spent in the loving company of family and friends, to run your fingers through the picture albums of smiling, happy memories! And not to miss, a relaxed, refreshed and rejuvenated YOU! It may seem like a dream, as the beauty of life has been lost, among the four walls of our work places, leaving little or no time for ourselves. Gone are the days when we had the luxury of time, generously shared with the people we love. It is important to take a break from the humdrum of everyday reality, to rejuvenate ourselves. 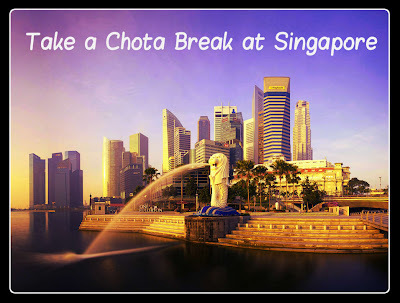 Though long vacation breaks are a distant dream, you can always go for a Chota Break! So, get ready for a short weekend getaway, with Kesari's Chota Break and treasure some of the most beautiful moments of your life with your loved ones. Enjoy this short holiday, as it explores the stunning destinations all around the world, especially the 'must-see' sights in a short period of time. 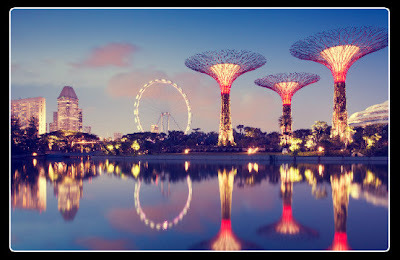 This August, pack your bags and fly, to one the most spellbinding destinations, Singapore. Enchant yourself with the visit to the historical landmarks like the Parliament House, City Hall, Fountain of Wealth and more. Mesmerize, with the views of exotic birds in Jurong Bird Park, take a monorail ride to enjoy the Penguin Parade, Talking Birds and other animal shows. Watch in awe, the breathtaking views of Marina Bay, Marine Life Park and Gardens by the Bay. Delight yourself with sumptuous cuisines and be spoilt for choice while shopping at Little India and other shopping points. Plan the most awaited long weekend of your life with your loved ones to Singapore, taking-off on 15th August, and take a Chota Break with Bada Mazaa!